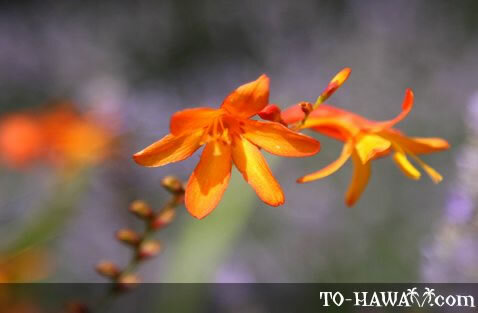 The bright orange Montbretia can be found on all Hawaiian islands. It is a hardy flower that doesn't produce fertile seeds. It reproduces itself via thick underground stems called corms. The flowers grow in a zigzag pattern on green stems.